First, just because it’s equally worthy of a mention and I’d like to briefly touch on it, the Nokia 2.1 is a welcome upgrade to 2017’s Nokia 2, touting double the processing power and a larger screen on a version of Android far less resource intensive – Oreo Go. Those who have had any hands-on with the Nokia 1 will understand how well Oreo Go handles such minimal resources, so on the Nokia 2.1 it should fly through most tasks whilst freeing up more storage at the same time. 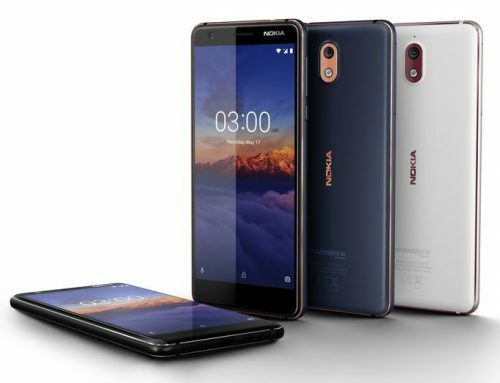 When the Nokia 3 and 5 launched in 2017, the two devices weren’t able to apply for Android Enterprise Recommended validation due to having only 16GB of storage; the AER requirements stipulate 32GB minimum. To be clear – the lack of Android One had no impact on AER for the Nokia 3 and 5. The Nokia 8 is an AER device, after all. In fact other than the storage requirement, the devices worked perfectly fine in all of the Android Enterprise validation I have undertaken, earning a seat in my pool of test devices for any Android Enterprise testing I’ve needed to do (and I do a lot). HMD’s pivot from their pure, stock Android image to that of Google’s Android One offering compliments AER, giving enterprises the best of both worlds, as Andrej, HMD’s GM of Enterprise Business, said recently at MobileIron LIVE!. With the switch comes a guarantee of two years of OS support, monthly security patches and all of the other enticing features of the Android One platform. There’s a lot of reasons to like Android One. Twitter has been awash with requests to Juho, HMD’s Chief Product Officer, since the pivot to Android One, asking when the 2017 fleet will equally switch over, however it was never meant to be – there are branding and other requirements for devices to be a part of the Android One program, and the original 3 and 5 didn’t meet them. That doesn’t mean there’s anything wrong with HMD’s own Android images, far from it! With a promise of the 2017 devices seeing Android P and monthly security patches rolling out to all devices irrespective of image, HMD has shown nothing but continued commitment to their whole estate. 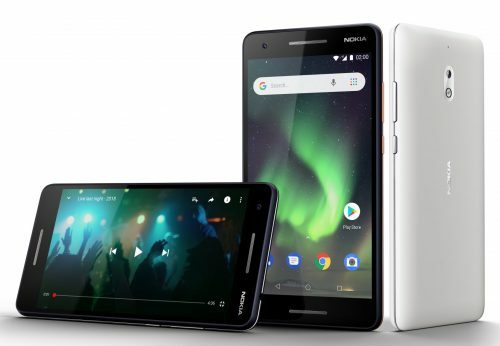 With the introduction of the Nokia 3.1 and 5.1, HMD finishes the transition to Android One for all models, and with new hardware configurations, so too do the devices now meet all of the Android Enterprise Recommended requirements for validation! The Nokia 3.1 sees a bump in spec from last year’s Mediatek MT6737 to a MT6750, and while the original RAM and storage options are still available – 2GB and 16GB respectively – HMD have also launched a version with 3GB and 32GB which meet the AER requirements. It additionally sees an upgrade in battery capacity to support a slightly larger, 18:9 display, on-screen navigation and also comes with a 13MP camera sensor on the rematerialar in place of the previous 8MP shooter. It’ll retail starting from roughly €139 for 16GB and €169 for 32GB (varying by region due to taxes) from June. The only downside I see is the lack of fingerprint sensor again, which is often utilised in the enterprise to balance the frequent use of long, alphanumeric passcodes. Additionally the Mediatek chipset can be off-putting to some, however I found the 2017 model held up well under normal use and had no issues at all with provisioning for Android Enterprise deployments, so I see no concerns with its continued use (particularly since HMD say the new chips are 40% faster). 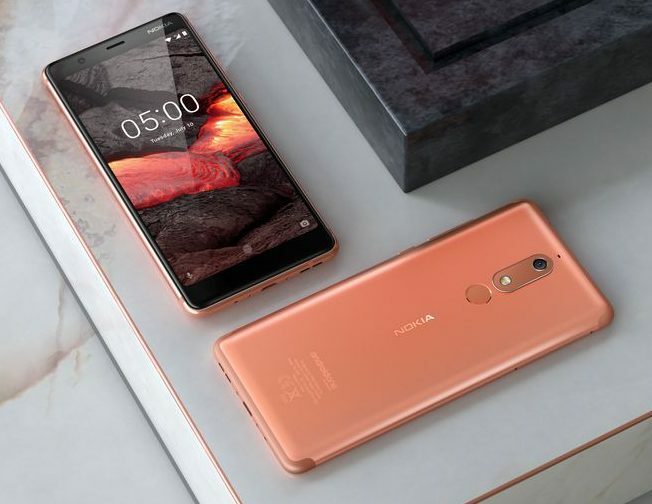 The Nokia 5.1 equally sees a shift in spec, again launching with both the original 2GB and 16GB memory and storage configurations respectively, as well as the new 3GB and 32GB variant meeting AER requirements . Like 3.1, the 5.1 also moves to a MediaTek – the Helio P18 – and in doing so moves away from the old Snapdragon SoC. It ships with a larger 18:9 display however the battery decreases down to 2970mAh from last year’s 3000mAh. Finally, better optics are added with a 16MP shooter vs the old 13MP sensor in last year’s model and navigation again has been moved on-screen. It’ll retail starting from roughly €189 for 16GB and €219 for 32GB (varying by region due to taxes) from July. A display increase teamed with a battery decrease is usually not a great combination, but we’ll see how it holds up with the MTK chip soon. Receive 3 years of guaranteed security patches within 90 days of release by Google, however HMD strive for monthly. Further requirements can be found here. HMD now boasts 9 zero-touch supported devices on the market, 6 of which are Android Enterprise Recommended. They creep past Sony who stand at 5 devices in AER to level with Huawei. For enterprises wanting to leverage Android this is great news as HMD now offer an AER device for almost every budget, and without the bloat and skinned UIs offered by almost everyone else on the market. Today’s launch shows just how dedicated to enterprise HMD Global are, and I’m looking forward to getting hands-on with them in the near future! Are you considering Nokia devices in your organisation? Or maybe a personal device? What do you think of the price points and the specs? Let me know in the comments below, @jasonbayton on twitter, or find me on LinkedIn. Great to see AER momentum continuing. I had a conversation yesterday with the importer of CAT phones into Australia to highlight the importance of getting on the list moving forward. The 5.1 looks like the perfect fleet phone IMO. ~ $400 in Australia puts it right in the sweet spot. I think hardware under this price point is limiting your options for both performance (your critical business app might not run) and features (biometric login etc.). The only disappointment I had, as mentioned, with the 3.1 is the continued absence of a fingerprint sensor. I can’t imagine it’d add much more to the price and with it the only limiting factor is the chipset (depending on requirements). The 3 (2017) is a capable device though and the spec bump for the 3.1 will improve that further. Because of that I’d agree though, the 5.1 is the better all-rounder!